Happiness can be found in the smallest of things. Warm and vitalizing, this new line of traveling cosmetic products promises to cover your every day needs and turn your daily skincare into pleasure. 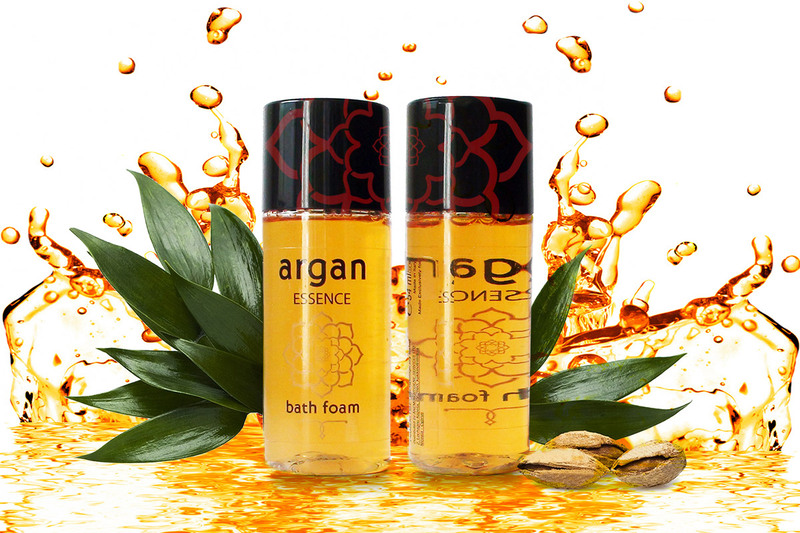 Bath foam Argan Oil gently cleansesthe skin, leaving it soft and scented. The particularly refined fragrance gives a pleasant feeling of well being, giving fresh vitality to the body. Delicate thanks to its balanced formula physiological pH 5.5, it is ideal for the daily hygiene of the whole family. Please complete the short form below to request a sample. Offer ends Midnight 31 March 2019 (“Promotion Period”). Offer valid at participating locations only. Void where prohibited or restricted by law. Valid while supplies last and is subject to promotional availability. No substitution or cash redemption. Copyright © 2019 Argan Essence Exclusive.